Last week Apple held their annual developers conference releasing teasers of their new hardware and software innovations they have been working on. Of course, of the of most coveted and exciting releases is their mobile phone OS update iOS7. I was able to install iOS 7 onto my iPhone 5 and it’s actually working very well. Most of my apps are working without any issues (Except Skype) and the new interfaces are sleek and clean. The update however has left me feeling the iOS7 Auto Update May Not Be a Good Idea. One problem I’m noticing now that I have downloaded iOS7 and have traveled across the country into California is their auto update feature for the app store. 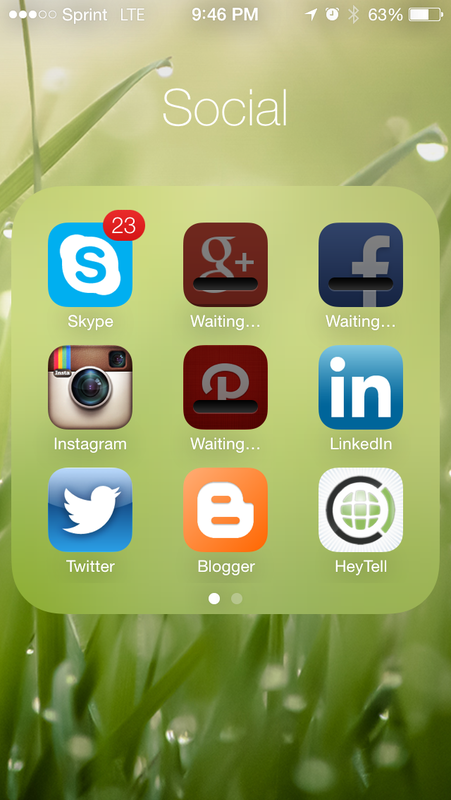 As you can see in the image above, these apps, along with several others, are in the process of updating. They’ve been in this state for the past 36 hours. For some reason my data connection out here in San Francisco is awful. I figured for such a technological city, I would have some data coverage, even on 3G. Either way, because iOS7 now offers auto app updating, I have several apps that I can no longer use because they are stuck in a state of updating even though I don’t have a data connection that can support the update. It’s a bit frustrating but at the time all it’s really doing is stopping me from showing everyone my awful iPhone food, and location pictures that no one could care less about however, if this was happening to a more useful app like Google Maps, then I would be in a lot of trouble! What are your thoughts? Have you downloaded iOS7 and noticed and issues that are really impacting your use of the device? 2 Responses to "iOS7 Auto Update May Not Be a Good Idea"
Yeah, even the hard reset wouldn’t force the update, or release the apps so I could use the old versions. Frustrating!! !